25" tall, 31 1/2" long, 10 3/4" wide & the top of the body is 13 3/4" above the floor. 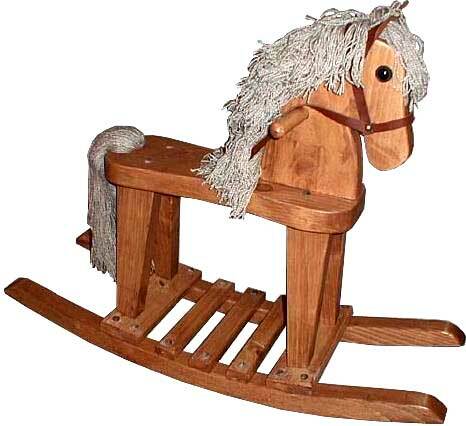 This is by far our most popular size rocking horse for toddlers up to 4 or 5 years old depending on their size. All you have to do is snap the head in place and tighten one screw to lock it in place.